Sometimes, your wedding venue just is not quite what you want for a location to do your couples pictures. So, move! This couples church, while nice, wasn't what they wanted as the backdrop for their formal pictures. They had done their research and found that Durant Nature Park was only about 5 minutes away. I love to incorporate some of the natural scenery into my couples portraits. And while I generally shoot tighter, I choose to frame this one wider and bring in the total environment. 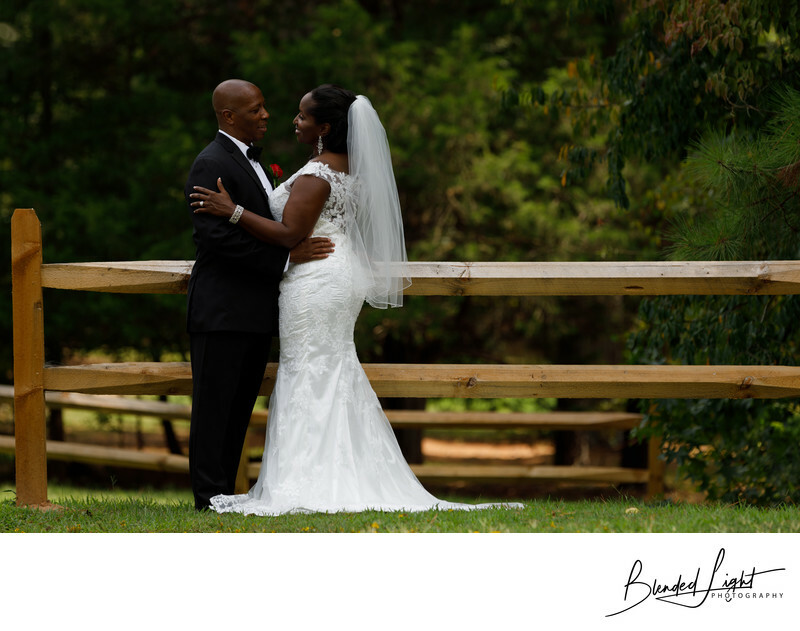 The day was cloudy and warm, so it was necessary to use a little flash to bring the couple out of complete shadow while maintaining the darker tones in the environment. When doing shots like this, I keep my instructions simple so that the images appear as natural as possible. In this case, some slight hand placement to for connection and then simply talk to each other. I couldn't tell you what was said between them as I was far away but the conversation must have been great as the whole session produced some great images - laughing, crying, heads on shoulders. When you are able to combine some posing instructions and generate natural reactions and emotions, I will undoubtedly get some great images for my clients. Posed and unposed is the perfect combination! 1/200; f/4.0; ISO 50; 180.0 mm.